Gold bars over Siberia falling from the sky in the form of huge yellow bars (3 tons in fact) which if it fell on you from, any height would leave you with a permanent dent in your forehead! The gold bars we're falling from a cold war era Russian cargo plane Antonov AN 12 over Siberia and was filled to the rafters with gold bars, diamonds and platinum and the maintenance crew (you don't say) have all been arrested lol. Guess what, "most" of the gold has been recovered, lol. Seriously why would you say "most of the golds has been recovered" and now the arresting of all the maintenance crew, makes complete sense. 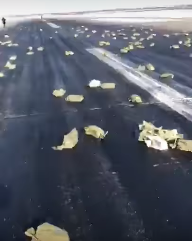 I guess seeing all this much valuable stuff out on a Siberian runway was just a wee bit to much for some and they obviously hatched a plan to go git it! Like any normal person would pick up gold bars on the runway. Here's the fascinating story and I know it's nothing to do with Aliens or UFOs but still I thought it was newsworthy a little rest from full on UFO disclosure and we might every now and again have a feature of something like this depending on what the comments and response is like from our readers? The plane a Cold War-era cargo aircraft called the Antonov An-12 had just taken off from Yakutsk Airport in Siberia, carrying an estimated $378 million in gold, platinum and diamonds on behalf of a private mining company. 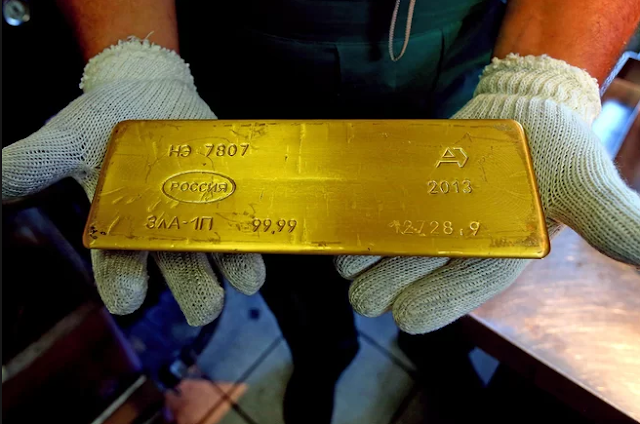 According to The Siberian Times, the plane's cargo hatch tore open during takeoff, so the plane spilled nearly 200 gold bars (weighing a total of 3.4 tons, or 3 metric tons) into the air. Nobody was reported injured following the gold bar incident, and most of the spilled treasure has since been recovered, according to a police spokesperson. Source The Siberian Times YouTube. It looks like a stealth TR3B but it's a bit to "flat" or low profile I suppose it would be classed as? Also, I honestly don't think the TR3B hovers but I'm sure it's got capabilities that even the public is unaware of? The way it's hovering is amazing, it's definitely checking something out (if it it's real) that is? I'm definitely leaning towards this been real as well, and I think it's been filmed by maybe a secret arm of a government agency on their grounds and the buildings in the background is engineering facilities. There's just something about it that I can't make out, is it CGI or is it really there in reality? It's also thicker on the front of the UFO meaning there could be something like a cockpit there. I mean, if not then someone has deliberately filmed an area of land looking in to the sky filming nothing but knowing he or she was going to crop and paste some UFO or other on to it! Your guess is as good as mine, it could be real and it could be fake? Who knows, but to get to the truth we've got to wade through the crap top get to the good so-to-speak! What's your thoughts and opinions guys? Let us know in the comments, cheers. 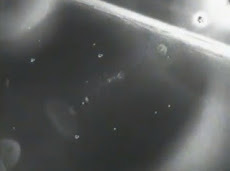 This is incredible video footage of what appears to be doughnut shaped UFOs and they are not lanterns, balloons and other such things. The footage is poor at best, but we get the overall "feel for it" and general view of many unidentified Flying Objects in the sky and that's what it really is. 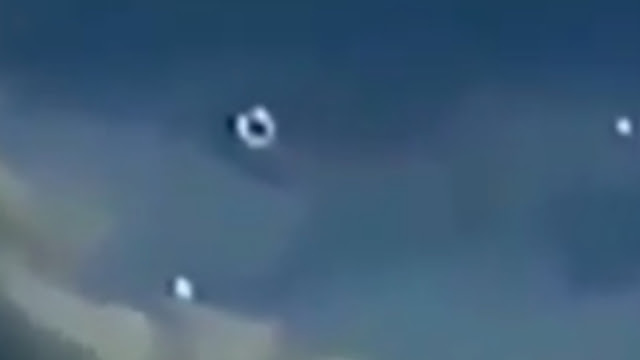 There's holes in the UFOs, some look triangle and others like diamond? Lanterns all have a specific look to them and they all have the same shape but because these are different shaped UFO's well they can't be lanterns can they? 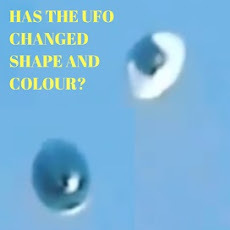 It's very unusual and a "mix mash" of different shaped UFOs in the very sense of the word. 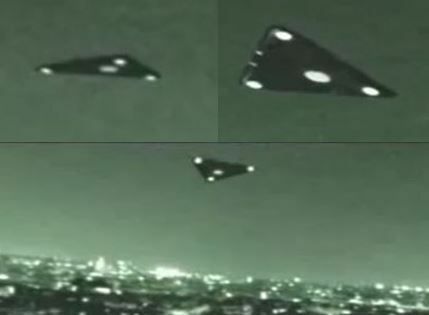 There's many of these UFO's, to many to count and that is amazing. If you can count them that would be cool, but I don't think it's even possible? Balloons released by a group of people for a birthday or marriage. Lanterns (like I said) because of a new year celebration just because of the way they look? Drones are definitely out of the question because there's just way to many. Some sort of traditional or cultural, celebratory prayer piece. 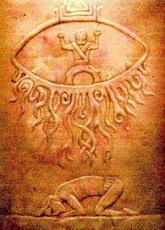 In fact, the one above in the image looks like the Prometheus UFO which everyone has seen? 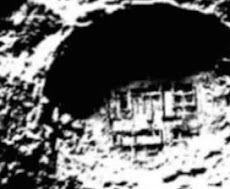 We even did a post not long ago about another UFO that looked like the Prometheus spaceship (here's the link). 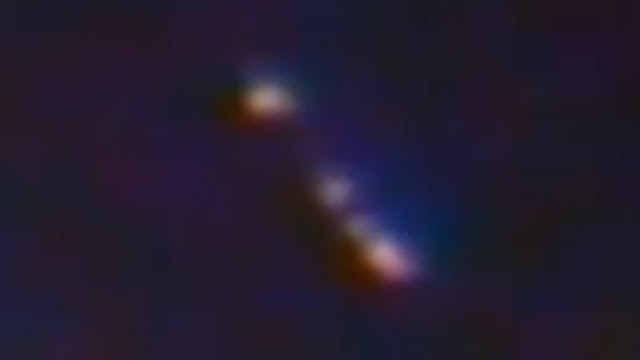 Here's the incredible UFO footage showing many UFOs all at the same time. There's actually no information whatsoever with the video but that's OK because many people film UFOs - but don't want to be known as the "UFO guy" or the "tin foil hatter" which some people really do. 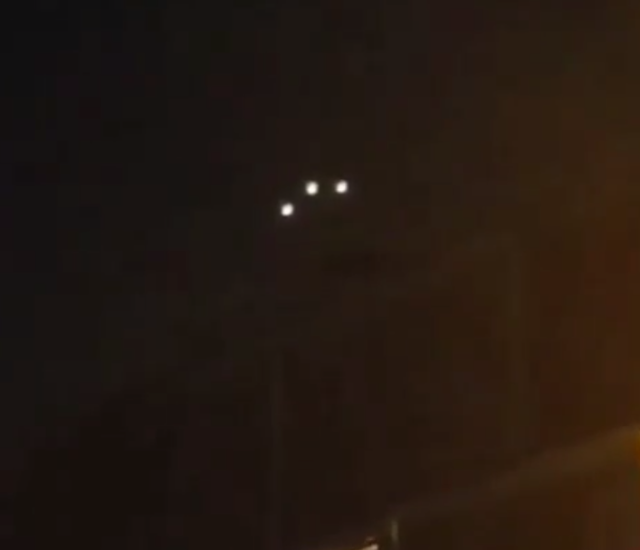 This is an unusual group of 5 UFO's and they all have a different look from one UFO to the next one and the actual camera zoom is epic as it has to zoom in from many miles away from the actual UFO's position. 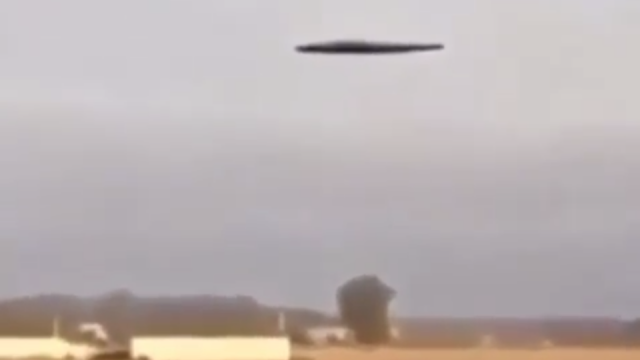 Unfortunately no information was supplied with the UFO video but the UFO's in the video is in my view more than enough and even better than most I've seen in a long time. 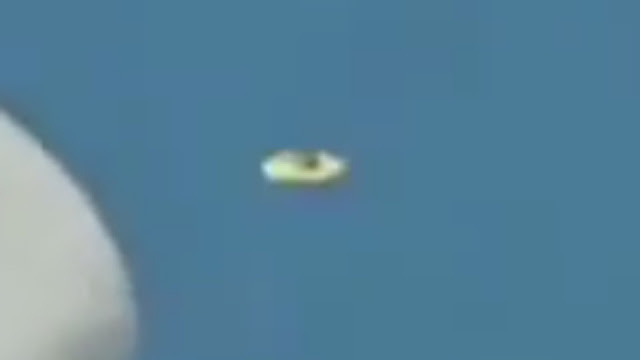 I know that the UFO image below of one of the UFO's is a bit blurry but remember how long the zoom was? The 5 UFO's have distinctive looks for sure but I'm wondering if these are different Alien races coming together? It would make sense (to me at least) that specific Alien races would have a single design? 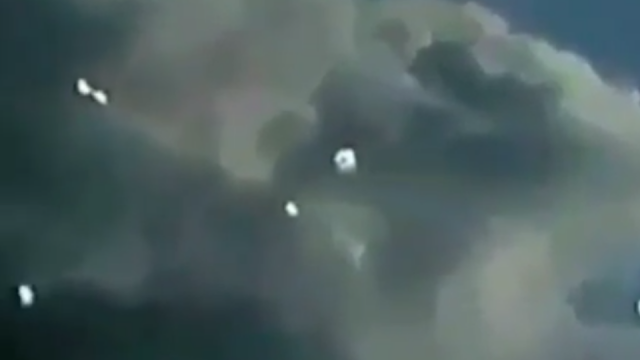 The thing that grabbed my attention from the beginning of this stunning UFO video is when the cameraman zooms in - that looks to me, that this is not been faked at all! 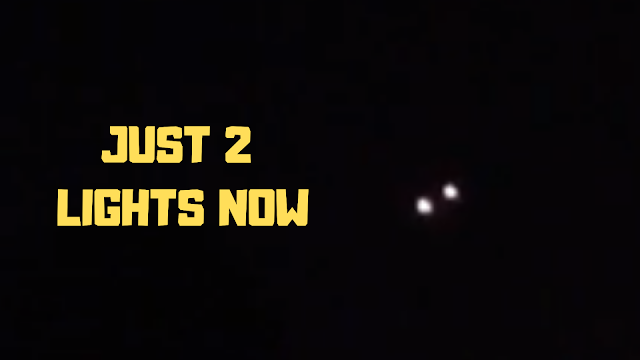 I mean, how can anyone fake a zoom in like that and then focus on to UFOs? It's this zooming in which had me hooked - as soon as I saw the video. What are your thoughts on this specific part of the video? Could this be faked do you think - to the point of which that if this part is faked then the whole video is faked, right. This is exactly why I got in to Ufology and researching. Life is like a box of chocolates, you never know what your gonna get next. 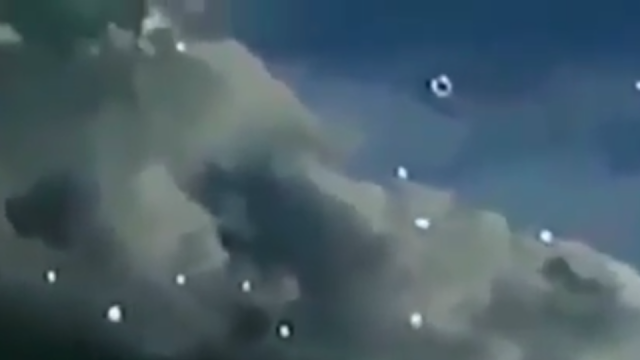 If your an expert in such video graphics and abilities then please can you shed any light on this UFO mystery and "what I think" is a stunning and a set apart from other UFO videos. But at the end of the day, I'll leave it to you guys for opinions and hopefully we'll all get some answers. My initial thoughts were that this was an unmistakable TR3B from the USAF - Astra project and Aurora project (back engineered technology from a UFO) but then it starts to dim and then gradually turn the lights off. They come back on, then they separate from each other and yes, this still could be a TR3B but a bigger one with more than the usual three lights? I say that because no matter what the lights seem to stay together like they cannot be separated from each other which indicates that it's just one single aircraft and the only thing I know that comes anywhere close to this aircraft is the TR3B. 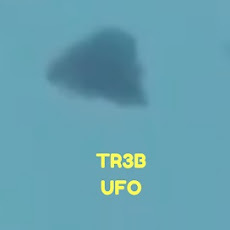 The image below is what I mean by the TR3B having sometimes more than just the usual 3 lights and it could in theory turn the lights on individually so I wanted to show you what I meant by it possibly being a few UFOs or TR3B's? This TR3B image was leaked or released by Tom Delonge. Link to the post and video about that is in the source list below at Express. 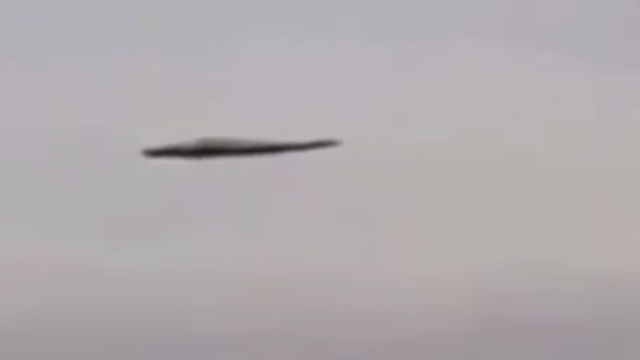 THIS video is genuine "leaked" footage of a US military secret spy craft known as a TR-3B, according to rock star Tom DeLonge. This Unidentified Flying Object was directly above our town of Tomball, Texas. There were about 15 other Individuals who were recording along with us. What do you think? 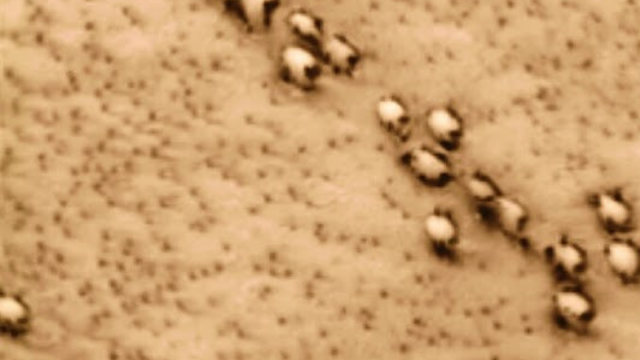 Many reports of the same phenomenon have been reported all over the US. Everyone wants to know for sure that the unusual lights they see in the sky either at night or daytime that they are real, but is this real? Video number 2 (different angle). 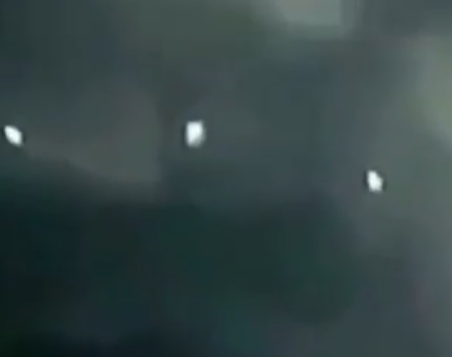 So there you go, these UFOs or TR3B was seen by many people so we've got it on tape from a couple of angles which is great. 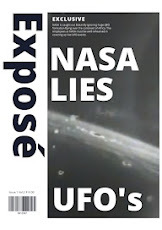 Yes, NASA turns off the cameras everytime they see a UFO or debris and basically everytime an unknown object comes in to it's field of view which in my view jeopardizes the astronauts safety at the very least. 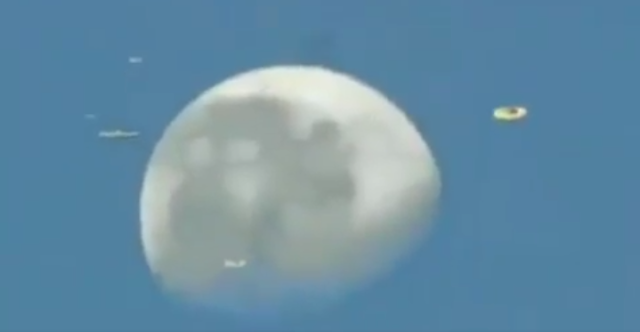 Don't you think that is just slightly unusual that everytime "anything" unusual looking like even a piece of debris, gasses, metallic objects, white objects etc or in this case a UFO - that they turn off the cameras? It's blooming bizarre and especially from a "focused of safety" NASA. 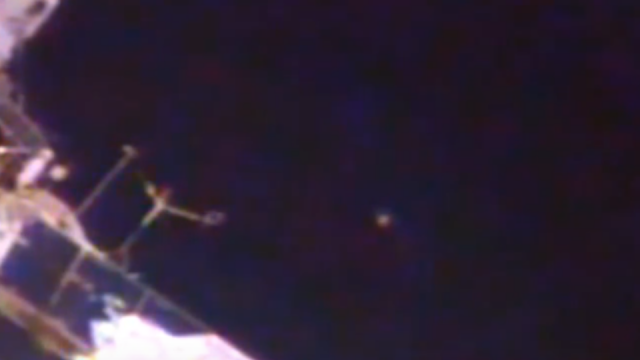 Don't you think that's a wee bit strange what happened on August 12th, 2014 at the ISS? 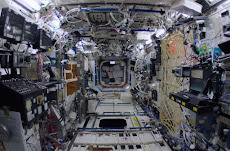 They claim to be always looking out for the safety of the astronauts but as soon as a potential hazard comes in to view, they switch the TV off! 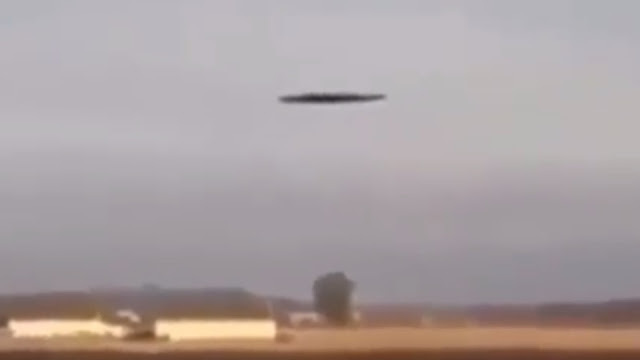 This UFO is in view but then it starts to back away very slowly which is almost menacing. Is it in case an object is travelling thousands of miles an hour towards the ISS (why we could see it) and then they realize it's travelling that fast it's going to hit the astronaut and NASA doesn't want that on live TV, who knows? I don't know, I'm just trying to make sense of why they always turn the live feed off when an anomaly appears on the screen because it should be the absolute opposite of that and they should point everything at it and get it on film from every single angle so they can at least trace it back to wherever it came from if it did in fact come off the ISS then they could fix it. 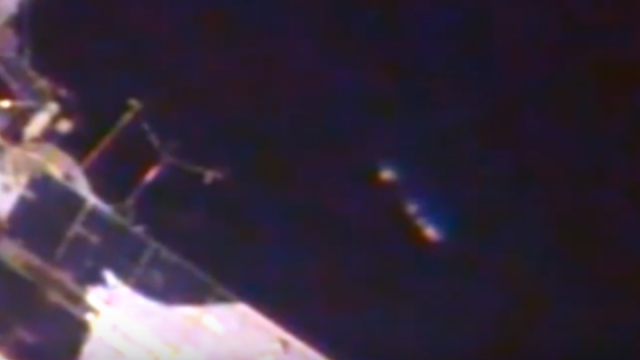 Do you think it's unusual that NASA everytime an unknown piece of debris comes in to the cameras field of view - that they turn the screen off and basically or supposedly cut the live feed to the public? Well, I think that this is the strangest thing in space to ever occur as it's NASA's main focus (even their ethos) is to discover, to hunt for and to find, Alien life if it exists. Well, I'll tell you right now (because we're now back in the real world) that this is most unusual behavior especially by a leading space agency that literally deals with the unknown on a daily basis to cut the live feed of a potential threat to their astronauts. Still, it's an interesting video and you should check it out. Cheers for stopping by. Source NASA Live Stream On Ustream.